At The Chop Shop butcher Brisbane, we make it our mission to deliver the highest quality meat and poultry products for the best value available at any butchers Brisbane wide. We know that the Brisbane butchers our customers are looking for make this family staple affordable, providing high quality meat and poultry at a price that’s competitive when compared to other butchers supplies Brisbane, and making great meat accessible for every one of Brisbane’s meat lovers. When it comes to meat, we’re extremely passionate and knowledgeable, making us a great choice of local butcher for Brisbane residents and visitors alike. With a wide range of meat cuts, poultry products, small goods, and specials to suit any taste, our knowledgable Brisbane butchers can help you choose the right product for you, and for the occasion. Whatever the event you’re shopping for — whether it’s a weeknight family dinner or a weekend riverside barbecue, or maybe a special dinner for two — we know we’re the best butchers Brisbane can offer when it comes to providing the highest quality meat and poultry for the best value anywhere in Brisbane. We’re sure our great range of meats has something for everyone. At the Chop Shop butchers Brisbane, we know everyone has different tastes. For that reason, we make sure we have a great range of meat and poultry products to offer our customers, from classic simple chops for home dinners, to beautiful roasts for a special occasion. From sausages to chuck on the barbecue to juicy, tender chicken fillets to impress a very special someone, we’ve got what you need. From breakfast bacon, to ham for your lunchtime sandwich, to that mouthwatering parmigiana you’ve been craving all day long, we’ve got you covered for every meal of the day. We’re the Brisbane butchers that can cater to any need and make sure that, no matter your tastes and no matter the occasion, you can find something delicious that will suit your needs and the tastes of your family and friends. The most important thing to us is that we provide all this at great value, so that all our Brisbane customers can enjoy high quality meat with great value for their money. We make sure our exceptional products are available at exceptional prices, working with great Aussie farmers to bring you the best value across all our meat and poultry product ranges. No matter whether it’s roasts or sausages, we make sure our quality never wavers so that we’re continually providing our customers with the best value they’ll find in any butchers Brisbane wide. Brisbane residents, like many Aussies, love their meat. We know that locals are always on the hunt for the best quality produce at the best prices. At The Chop Shopbutchers Brisbane residents have met their match. The best way to buy high quality meat is to buy it direct from professional butchers who are passionate about what they do. Our four Brisbane butchers shops are committed to bringing you only the best Australian cuts of meat and the most delicious poultry products on the market. By sourcing our meat as locally as possible, we are able to ensure maximum freshness as well as supporting local agriculture and farmers in our area. As proud Brisbane locals, we know this is an important part of our local economy. By shopping at your local Brisbane butchers, you’re not only choosing to support a local business in your local community, but also ensuring that you are standing behind Queensland farmers and farmers Australia wide while getting the freshest and best value products available. At The Chop Shop butchers Brisbane residents have always been able to get high quality meat and poultry products from Australian farms at the right price. Importantly, we make sure our reputation for being a fantastic quality Brisbane butchers shop doesn’t mean we have to charge the earth. For the best butcher Annerley has to offer, head down to The Chop Shop butcher Annerley. We’re the butcher Annerley residents trust to provide high quality meat at a great price. We’re close to the bustling centre of Brisbane, but we’re not caught up in the rat race — we strive to maintain our high standard of service and the quality of our products to be the butcher Annerley needs. We’re located close to the Princess Alexandra Hospital — you can reach us by Ipswich Rd or South East Freeway as well as by public transport on the train or by bus, meaning we’re easily accessible from many surrounding suburbs including Annerley, Fairfield, Yeronga, Yeerongpilly, Buranda, Woolloongabba, Dutton Park, Highgate Hill, West End, South Brisbane, East Brisbane, Kangaroo Point and Greenslopes. We’re the butcher Yeronga residents know will have the best products at the best price. We’re the butcher Fairfield locals turn to when they need the freshest meat. Brisbane is the city of long, hot summers and sunny pleasant winters that make it the perfect place for a barbecue at almost any time of year. With it’s proximity to the Brisbane river, the Annerley area and surrounding suburbs of Yeronga and Fairfield make the perfect place for a weekend picnic or afternoon barbecue dinner. Along with nearby West End and Kangaroo point, the riverside potential of this area has most of our customers anticipating their barbecue long before it arrives. We know we’re the best butcher Yeronga wide and the butcher Fairfield always counts on, and we’re only a quick hop away. With easy access to our butcher Yeronga residents and those from further afield can enjoy the many parks and outdoor spaces that this area has to offer by accessing the best meat, very close by. We’re open every day of the week so that you can have fresh supplies whenever you need them from meat suppliers Beisbane. Walking straight out of ourbutcher Fairfield folks can head down to a bend in the Brisbane river and enjoy Brisbane’s generous sunshine, accompanied by the tantalising smell of sausages and steaks on the barbie, or head home to cook up a delicious dinner using our fresh, delicious products. If you’re looking for the best butcher Forest Lake has to offer, you’re looking for The Chop Shop butcher Forest Lake. At our conveniently located butcher Forest Lakeresidents can find the quality meat they’re looking for at the affordable prices they want to see. Come in and talk to the most passionate butcher Forest Lake has to offer about what cuts we have to suit your needs, your event, and your budget. Whether it’s a simple family dinner at home, or a big weekend barbecue down by the lake, we know that at our butcher Forest Lake residents can find what they’re looking for. You’ll find us in the Forest Lake Shopping Centre on Forest Lake Boulevard, with easy access from Springfield and Inala, Richlands, Doolandella, Wacol, Carole Park, Camira, Brookwater, Ellen Grove, Augustine Heights and Redbank Plains. Drive in from the Ipswich Motorway, Logan Motorway, or Johnson Rd. Because of our convenient location and highest quality products, our customers come to us from all around Forest Lake and its surrounding areas. For the best butcher Inala locals pop over to see us at The Chop Shop, and we’re the local butcher Springfield residents trust to always supply meat products of the highest quality available, not only in the are but amongst butchers Brisbane wide. We’re open every day in the Forest Lake Shopping Centre, meaning we’re the butcher Inala, Springfield and Forest Lake folks can count on to be selling great meat whenever they need it. Whether it’s a quick healthy dinner or an impromptu visit from the extended family, we’re the butcher Springfield residents can turn to if they need a delicious solution. We certainly know many of our customers like to take advantage of the beautiful Queensland weather and the proximity of the Forest Lake itself after visiting us — we’re only a few blocks away from the perfect picnic areas equipped with barbecues to fire up and cook your Chop Shop feast. Come down to the shopping centre and talk to the best value butcher Inala can offer, the best butcher Springfield has on the map — the butcher that will be happy to help you find the right product to make your meal something special. If hunting down the best butcher Keperra wide is what you have in mind, come and see us at The Chop Shop butcher Keperra. We’re only a short distance from The Gap, Ferny Grove, Mitchelton, Gythorne, Bardon, Ashgrove, Everton Hills and Arana Hills, as well as Alderly and Enoggera, so we know we’re the butcher Ferny Grove residents come to and the butcher Mitchelton folks call on when they need good value meat. Whether you’re interested in something small to take home for a cosy weeknight dinner or a whole delicious leg of roast lamb that will blow your in-laws’ mind, we’re the only butcher Keperra wide that can provide the highest quality for the best value. We know we’re the best value, and our customers know it too. When they’re looking for a butcher Mitchelton residents come and visit us at The Chop Shop butcher Keperra, and for the best Brisbane butcher Ferny Grove locals come around and see us too. You can reach us via Settlement Rd or Samford Rd in Keperra. Only a stone’s throw from recreational parks, conservation parks, nature reserves, and other beautiful natural settings, we’re in the perfect location for you to drop past on your way to a lazy picnic or outdoor gathering. Whether you’re looking for the best butcher Mitchelton can offer or the best butcher Ferny Grove can provide, you can be sure of the best value meat at The Chop Shop. At The Chop Shop Butcher Wynnum, we’re staying ahead of the competition when it comes to quality and value. We’re the Butcher Wynnum residents know they can count on to provide outstanding quality at the right price. Because of our wide range of high quality meat and poultry products and our convenient location, we’re the first choice when it comes to the best Butcher Wynnum wide. You can find The Chop Shop Butcher Wynnum in the Wynnum Plaza shopping centre on Wynnum Rd. Our convenient location means we’re also the butcher Manlylocals turn to when they need to buy exceptional value meat and poultry, and the butcher Wynnum West residents know will provide the best meat in the area. In fact, The Chop Shop Butcher Wynnum also provides great value meat and poultry to many of the suburbs surrounding Wynnum, including Manly and Wynnum West, as well as Lytton, Wellington Point, Thorneside, Birkdale, Raby Bay, Wellington Point, Lota, Hemmant, Erobin, Gumdale, and Wakerly. Our customers in the bayside area know that when it comes to a butcher Wynnum West can trust, we are the first and only choice. 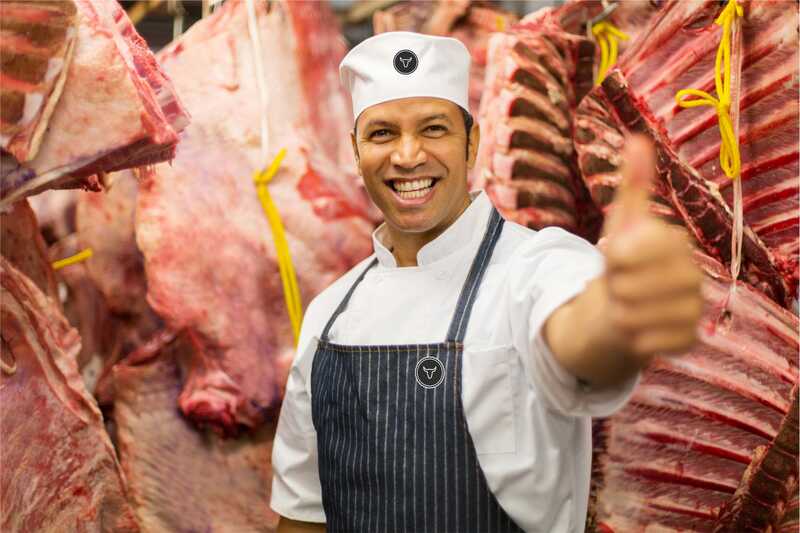 When they step into The Chop Shop butcher Manlyresidents can be certain they’ll find the best meat and poultry and the best value meat available. Though Brisbane might not have a beach, Brisbane locals and visitors alike who are looking for a bit of fresh sea breeze like to head down to the beautiful bayside suburbs to get their fix. At The Chop Shop Wynnum we’re only a short drive from the esplanade, which makes us the perfect place to pick up some delicious meat for your bayside barbecue. We know we’re the butcher Wynnum West residents come to see for all their barbecue needs, because we have something for every taste. When they’re looking for the best butcher Manly wide — a butcher that can keep quality and value high, in a convenient location for all the bayside suburbs — residents from Manly and its surrounds come in and see us at The Chop Shop butcher Wynnum. With our four sites ready to cater to your every need when it comes to meat and poultry, we’re confident we can provide the best value products that our customers will love. Come and visit us at The Chop Shop today.